Sales success in any sales environment, depends on having an effective sales pipeline. Creating a number of different ways of filling your sales pipeline is crucial if you want to excel at sales. A full sales pipeline, which is designed to filter through your sales funnel and turn into closed sales, is the only sure-fire way of achieving your sales quotas every year. 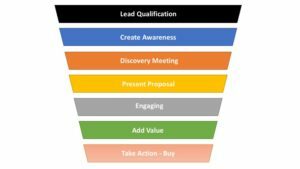 Your sales pipeline is effectively the different ways that you ensure that you consistently fill your sales funnel, with new qualified leads. The more ways you have of filling your sales pipeline with qualified leads, the better. Imagine if one source of future customers dries up for some reason. 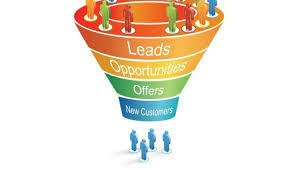 If that is the only way you have of filling your sales pipeline, your sales and revenues will reduce dramatically. On the other hand, if you have a number of different ways of filling your sales pipeline, the loss of one source will not have dramatic effect on your sales at all. I am sure you get the idea. You need as many different ways to fill your sales pipeline as possible. 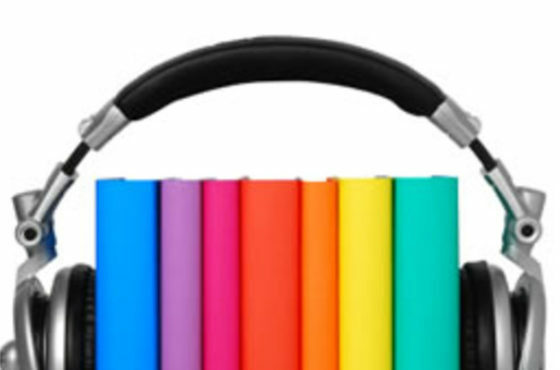 The more effective ways you can come up with the better. Your sales pipeline is effectively all the possible opportunities you have to create partnerships with your future customers. 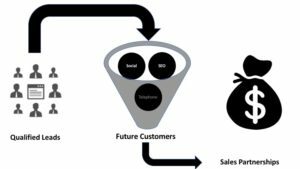 Your sales funnel is a visual representation of the processes your future customer needs to go through before they become customers. When you want to start developing your own sales process or winning sales pipeline. 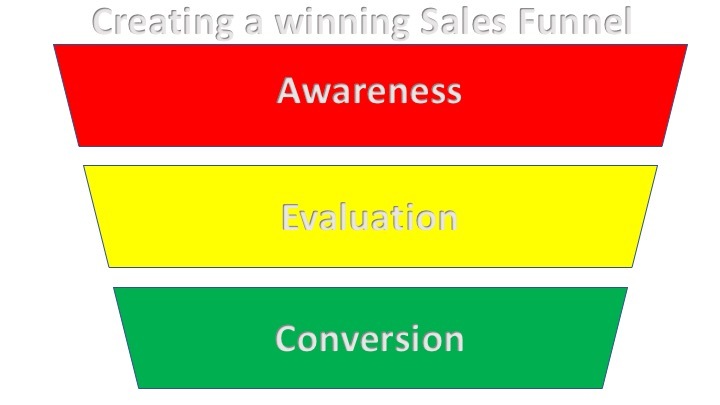 Start by exploring the three crucial stages required, namely, awareness, evaluation and conversion. During the Awareness Phase, ask yourself how you can best get your message to your future customer, so that they become aware of how you can “HELP” them. Evaluation: Once your future customers become aware of your organisation and they accept they you have a solution for their organisation, they need to first evaluate all possible solutions – Including your competitors solution. To see which one provides them with the best option. Conversion: Once your future customers have evaluated your product or service, you need to provide them with a powerful reason to buy your product or service. Action Idea: Explore your own sales process and try to uncover how you can move your future customers from Awareness – Conversion. Below is an example of my own sales funnel or sales process. 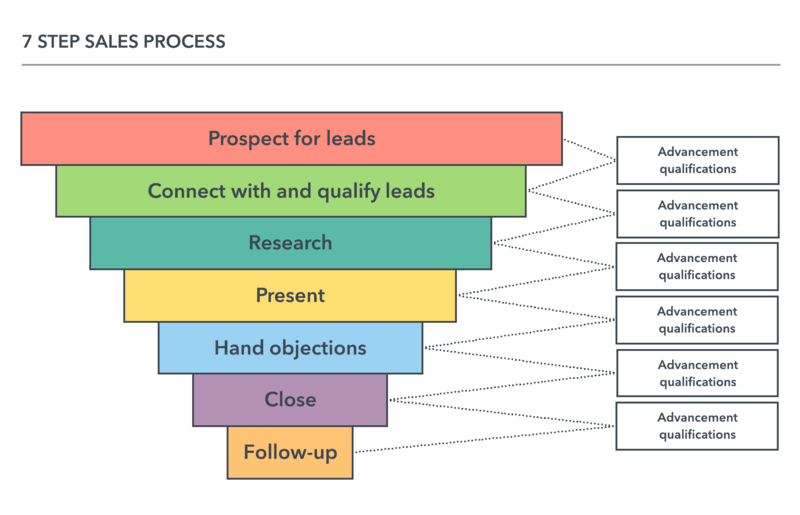 Your industry, customers and markets will require a specific, tailored sales funnel or predictable sales process, which will support you to convert as many prospects into customers as possible. Understanding how to manage the process of moving your future customers through your sales funnel and creating long term mutually beneficial partnerships with them, is crucial if you want to consistently achieve your sales quotas. Effective sales funnel management allows sales professionals to keep track of potential deals by knowing exactly what stage they are in. Each stage in the sales process requires different actions. It also allows you to evaluate all the deals you do have to see if you have enough of them to meet your sales targets. The best way to manage your sales funnel is to understand and to monitor all metrics related to each stage in the sales funnel. Research conducted by Harvard university showed that organisations with clearly defined sales processes or said differently a clearly defined process around “HOW” their sales team members need to operate to sell effectively, achieved an additional 18 % in sales per annum. Organisations with a credible, formalised sales process were at a huge advantage over those without a clearly defined sales process. These stages need to be crystal clear and the sales professionals need to know what they need to do to move each deal, from one stage to the next. Your sales process should also align with how your future customers are moved through the buying process. 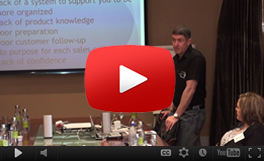 Your sales process must be designed for your specific organisation and the markets you serve. A generic process will deliver poor sales results. Invest the time to develop a relevant, meaningful sales process and you will equip your sales team with the tools they need to succeed. The Harvard study showed that organisations with a clearly defined, meaningful sales process, who invested a minimum of three hours a month managing the progression of deals through this process, saw an 11 % increase in sales. Ensure that the time invested into sales funnel management is not focused on forecasting. You are forecasting if most of your time is spent discussing closing dates, probabilities and deal sizes. 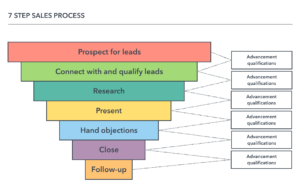 The primary focus when managing your sales funnel, has got to be around developing plans to move deals forward to the next phase in the sales process. Organisations with properly trained sales leaders, who understood how to manage sales funnels properly enjoy a 9% improvement in sales revenues.